UNITED NATIONS, December 18 -- Weeks after his trip about Myanmar to Far East capitals, the UN's Ibrahim Gambari finally briefed someone on Tuesday. He started with a closed-door session with the General Assembly, then took and fought off some questions from the press. A reporter asked about arrests by the Burmese government since Gambari was there. "Do you have the numbers?" Gambari asked. Another reporter opined that Gambari sounded very optimistic. Don't characterize me as optimistic or pessimistic, Gambari replied. Later, off-camera, he told the first reporter, "I don't trust you to not spin what I have to say." Inner City Press asked Gambari about Western corporations still doing business in Burma, using France's Total Oil as example. 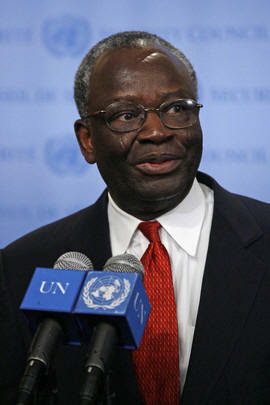 Gambari referred to the UN Global Compact, with its human rights standards. But to a follow-up question of whether Global Compact members should do business with the Burmese government, Gambari declined to answer. Video here. He told Inner City Press that moves are afoot to name another UN country representative to replace Charles Petrie, who the regime expelled for mentioning its problems.